Social Task Management (STM) and Social Project Management (SPM or Project Management 2.0) are among the most popular social HR tools. There are several advantages they have over traditional task and project management approach. 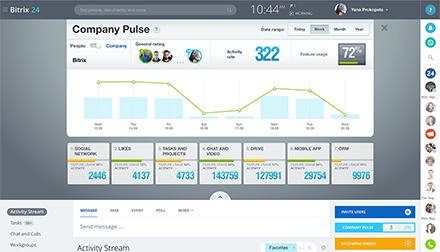 Whenever a new task is created, notification appears in company social network/intranet for the parties involved. Tasks can then be 'liked', commented on, badges can me awarded and files can be attached to each task directly from the activity stream. It's not a secret that project management software is among the most hated in many companies. 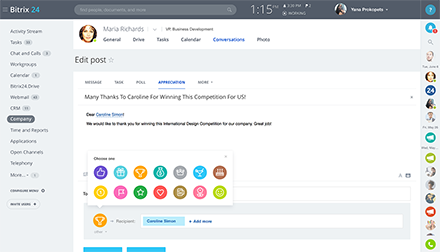 Wrapping it in a social interface and providing social features makes tasks and projects more inviting and usable, especially to younger Gen X employees. STM solutions are more flexible than traditional project management built around strict hierarchies and rigid company structures. While they retaining traditional model, when supervisors are able to view and track tasks of their subordinates, they also allow employees create tasks for each other, regardless of position and department, as well as form non-traditional workgroups that include freelancers, clients and external users in addition to company employees. 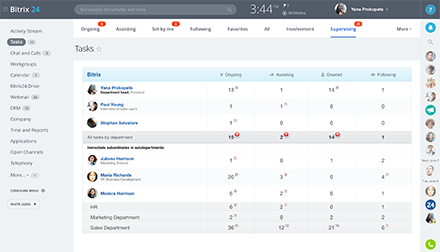 Modern Project Management 2.0 solutions make it unnecessary to integrate your tasks with shared calendars, document management, CRM, HR system or intranet, because they are already included, saving you time and money. Traditionally, task management statistics is limited to the number of tasks created, finished and overdue. With STM and SPM you get a much broader overview – how many employees use task management, who are the most active and efficient individuals, which employees are struggling and need help. 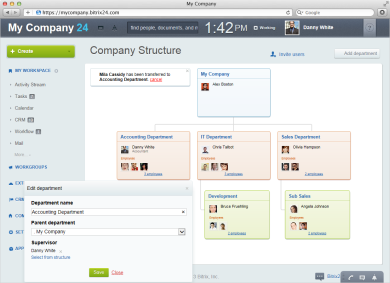 Free social project management in Bitrix24 is available for up to 12 users.